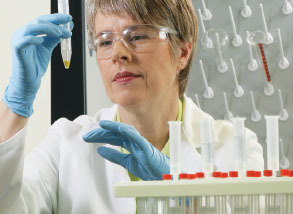 Whether you're filtering for analytical, clarification or sterilization purposes, our products are designed to support all of your lab's filtration needs. We understand that you’re most likely filtering to achieve one of two things: to clarify and/or sterilize your filtrate, or to analyze the retention left on the membrane. While there are several different applications that fall under either option, our products are designed to effectively support – and speed up – your entire filtration process and ensure that you recognize the most accurate results. The Thermo Scientific Nalgene Syringe Filters are built to meet your lab’s clarification and sterilization needs. Our filters are available in a variety of sizes and membranes that can be easily used for both sterile and non-sterile laboratory applications. Whether you're filtering for analytical, clarification or sterilization purposes, our membranes are specifically selected to support your filtration needs.